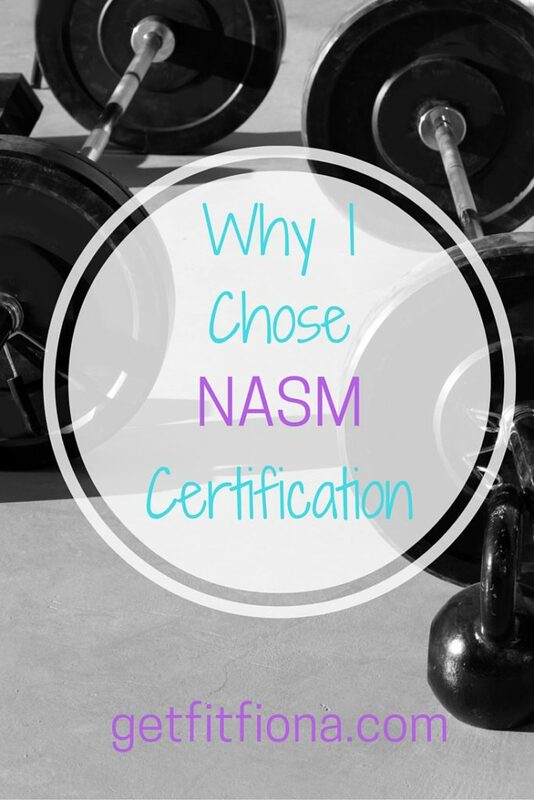 While I already mentioned that I’m working on my NASM certification this summer in this post, I thought I’d share about why I chose NASM certification over all the other ones out there. NASM has been certifying people in the fitness industry for more than 20 years now. In the grand scheme of things the fitness industry isn’t very old, so being a big name for 20 years is a huge accomplishment. Other people in the online fitness world have good things to say about NASM. I’ve seen people become certified and then get great results with clients and really change their clients’ quality of life. The level of knowledge needed to pass the test requires studying – you can’t just walk in thinking you know everything just because you’ve “been into fitness for years”. Training people is very different from working out yourself. NASM is a well rounded education. Now that I’ve had a year’s worth of university level fitness classes, I have a better sense of how much information there is out there when it comes to fitness. It’s not just a matter of knowing about what muscles are required for different movements, but also how you apply the knowledge you have to clients who all have different histories, likes, and injuries. Knowing the subject matter isn’t enough to be a good trainer. You also have to be able to figure out what kinds of workouts will work best with your client’s goals. Although I’m only a few chapters in to the textbook so far, I’ve been impressed with the depth of knowledge that NASM requires. I’ve already touched on anatomy, physiology, allied health professionals, ethics, and exercise physiology. 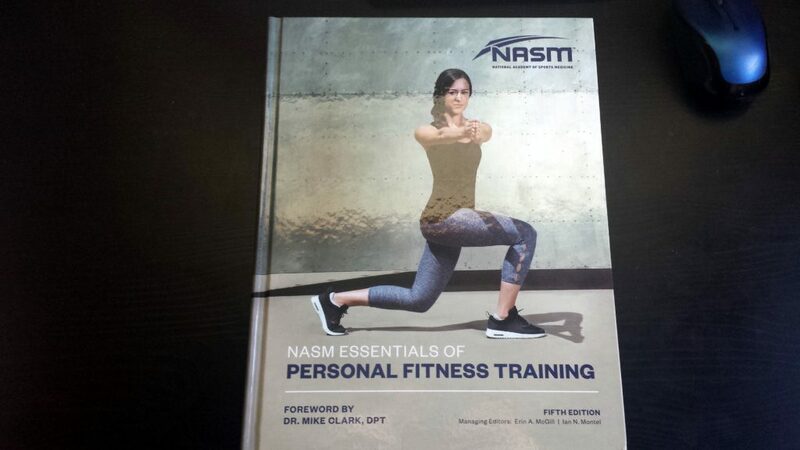 While you could have an entire textbook on each chapter in the textbook (affiliate link), NASM manages to highlight the important things that you’ll need to know once you’re in the industry working with clients, without overwhelming you with too much information. Other people in the fitness industry recommend it. I had multiple conversations with trainers while I was at my practicum placement about certifications. While everyone there had particular clients or modalities that they liked to work with, one of the things that kept coming up with all of them was getting a great education to build on. My placement had strict education requirements in place for new hires – they needed a minimum level of education to even be considered. I think that’s a great thing because it means that the clients at that facility are getting the best of the best in terms of trainers. More than one of the trainers mentioned NASM to me. One specifically said that he liked the specializations you can get once you’re a Certified Personal Trainer. They vary from corrective exercise to women’s fitness to weight loss, so there’s something for just about anybody, no matter who you like to work with as a trainer. NASM requires continuing education to stay certified. Whenever I hear about a new certification I always check to see if they require continuing education credits to stay certified. A certification from 15 years ago isn’t very useful today if the person who holds it hasn’t leaned anything in the last 15 years. 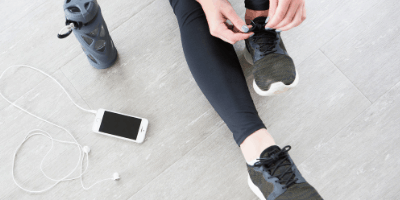 There’s constantly new research about the body and fitness, and staying up to date is so important, especially when you’re giving advice to other people. Requiring continuing education means that NASM is invested in keeping their trainers on the leading edge of research. It would less trouble to let people go on their own once they’ve taken their exam, but instead they really do want the people that they’ve certified to dig deeper. 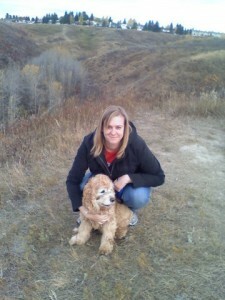 In addition, the flexibility in getting the continuing education credits means that I can take courses that interest me. I’m more interested in working with older adults than high performance athletes, so I can get credits that are geared to baby boomers instead of athletes. 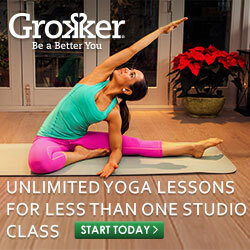 Are you in the fitness industry? What certifications do you hold? Actually I haven’t think about any certification yet, until reading your post. I’ll consider NASM, thank you for sharing, wish you soon got it.